The key to understanding any technology is understanding the language of the technology – the jargon. 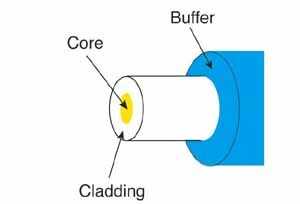 We’ve started the website and book with an overview of fiber jargon to introduce you to the language of fiber optics and help you understand what you will be reading in the lessons. We suggest you read this section first to help your understanding of the rest of the course and refer back to it when you encounter a term that you do not recognize. How to "Talk Fiber Optics"
(C)2012-14, The Fiber Optic Association, Inc.